The recent food ingredients labeling scandal in the UK helps to underscore the important role labeling plays in the food and beverage (F&B) industry. Whether these tragic incidents will lead to changes in the laws governing food labeling remains to be seen. What is clear is that F&B companies need to be ready to respond rapidly to changes in labeling regulations as well as to be able to make changes to the ingredients listed, when food item contents change. It is literally vital to provide the level of detail and transparency regarding food ingredients that consumers demand. This kind of rapid response places unique demands on F&B companies’ labeling systems. The truth is, if you have a fragmented IT landscape, with several disparate labeling systems, complying with new regulations or new menu items in a café or a deli counter is going to be a nightmare. The same is true if you use hard-coded label templates or other manual processes for designing and printing labels. These legacy approaches do not allow the speed and agility necessary to compete in a rapidly changing marketplace. The only path to success is to digitally transform your labeling by implementing a modern label management system. Here are three key ways a label management system can help. A label management system makes it easier to identify potential errors before products are shipped by integrating labeling with an MES or ERP system for ‘single-source-of-truth’ master data for labeling. By automating data entry and introducing digitized quality control, things that a label management system makes possible, you reduce the likelihood of human error due to manual data entry. A label management system also enables users to preview any changes made prior to printing, providing another opportunity for quality checks. By creating specific user roles and issuing unique logins for each user, label management systems provide an added layer of transparency and security throughout the label production process. Implementing a label management system also allows you to update labels from one central location. Thus, when regulations governing your products change or new recipes are introduced, you only have to implement changes in one place, the built-in document management system. Then they are automatically made available to all factories that produce the product in question. This flexibility instills agility into your labeling process, enabling you to read the lay of the land so to speak, and rapidly accommodate consumer demands for greater transparency and detail on your labeling. Implementing a label management system can save countless man-hours and increase employee productivity. The centralized database can be updated quickly, and employees can use pre-made templates to send out labels, saving valuable time spent on manually designing labels. By standardizing on a label management system that can work across a wide range of label and marking printers, you ensure that you can continue to use your existing hardware along with the new system. Integrating direct marking devices with the MES for master data becomes easy and ensures accurate lot and expiration date information. Selecting a system with a familiar, Office-like user interface will ensure that business users can use the system, saving time spent on extensive training sessions. This means anyone can quickly design professional labels without barcoding, design or advanced computer skills. Implementing a label management system also brings cost savings by enabling more effective use of your company’s IT resources. A label management system removes the need for coding and IT development. Business users can use web-based interfaces to access the document management system and make changes to labels, so it becomes a question of configuring an existing template, not requesting changes to the back-end system from IT. You also eliminate the need for programmers to develop their own custom printing front-end applications, which are costly to maintain. Your IT budget can then go to more value-adding activities that incorporate automation in other aspects of your manufacturing processes. For F&B companies, processing speed is an important KPI. Milliseconds lost in processing time can translate into millions of dollars in lost profit and missed sales opportunities. One of our customers calculated that adding just .3 seconds to their label printing time would potentially cost them hundreds of thousands of dollars across all of their factories. Achieving the level of speed and efficiency needed to compete on this level requires a unified label printing solution that can operate across all printers and factory locations. This system should be built on the latest print technology, and incorporate native drivers for all printers in your factory, so that you can ensure the same level of performance regardless of where labels are printed. 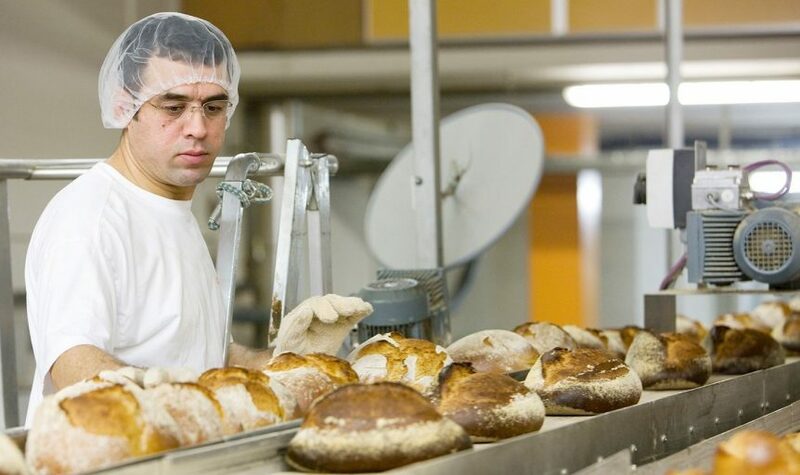 Coop is the second-largest food retailer in Switzerland with 2,300 retail stores selling baked goods, plus wholesale and production sites throughout Europe. They realized the importance of standardizing their label production and printing process on one label management system, a move which has improved the efficiency of their label printing process. It has also enabled them to comply with regulations governing food allergen and ingredient information in all the markets where they do business. To find out how they accomplished this and how their business has benefited, sign up for our webinar. To learn more about how NiceLabel’s Label Management System can improve your food and beverage label printing process, visit our solutions page.